Not very long ago, I conducted a full and detailed review of a product very similar to the one I am reviewing here for you today. The other review was for a different company, however, I personally feel that it is important to give viewers of my YouTube channel and readers of my website as much choice and variety as possible. 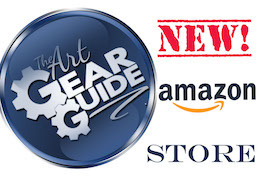 I personally feel that this not only offers a more balanced and complete review channel and website, but I also feel this gives viewers and readers of The Art Gear Guide choice and direction, not always feeling the need to buy the big named product. When I started The Art Gear Guide I had a clear idea of what I wanted the site to accomplish and one of the most important factors for me to ensure was that I offered the largest selection of reviews from the most expensive to the very cheapest, with no snobbery at all. 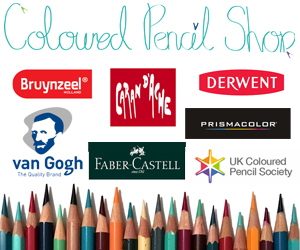 A while ago, I was approached by a company called Bang Good and asked if I would review their Watercolor Brush Pens, to which I of course agreed to. I obviously looked about the company and discovered that they are a similar set up to Amazon. Bang Good is an online store with a range of products on sale. 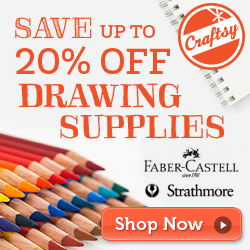 They sell a range of art supplies, stationary and office supplies, so even if this particular product I am reviewing here for you today is not what you are looking for, I would definitely recommend visiting the Bang Good website and taking a look at the other art supplies they have on offer. 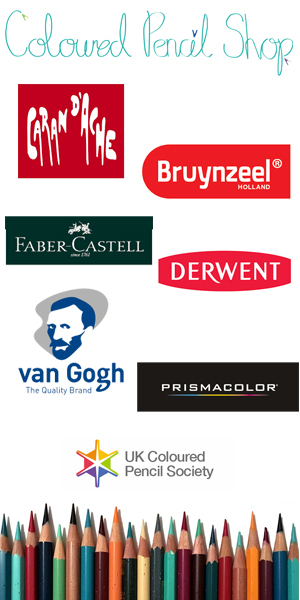 Watercolor Brush Pen 20 Set Characteristics. First of all, I have to address the one thing about this product that really disappointed me and that is the packaging. I fully understand that the packaging of the product has little to no bearing on the product performance, however, it does portray company image. When we look at products such as Caran d’Ache and Apple, they invest so much time and effort into their packaging and I am sure this also manifests itself in the pricing and we are talking in this review about an inexpensive product. That being said, my issue isn’t that the package didn’t look nice or something irrelevant like that, but the packaging was ripped and destroyed, carelessly stuck back together with tape. As I mentioned in the video, I have no idea as to whether or not the package left the company in this state or if something happened to it in transit and Royal Mail patched it back up. I am reluctant to go down this route as the external packaging was fully in tack. However, that said and out of the way, time to look at the Watercolor Brush Pens. The barrels are a black matt plastic, they feel really nice in the hand and display a nice overall weight to them. On the barrel however there is very little information. Along the side of the barrel in clear white print is “Watercolor Brush”, toward the end of the barrel, close to the pigment indicator, there is a serial number which I am guessing corresponds to the refillable ink available. 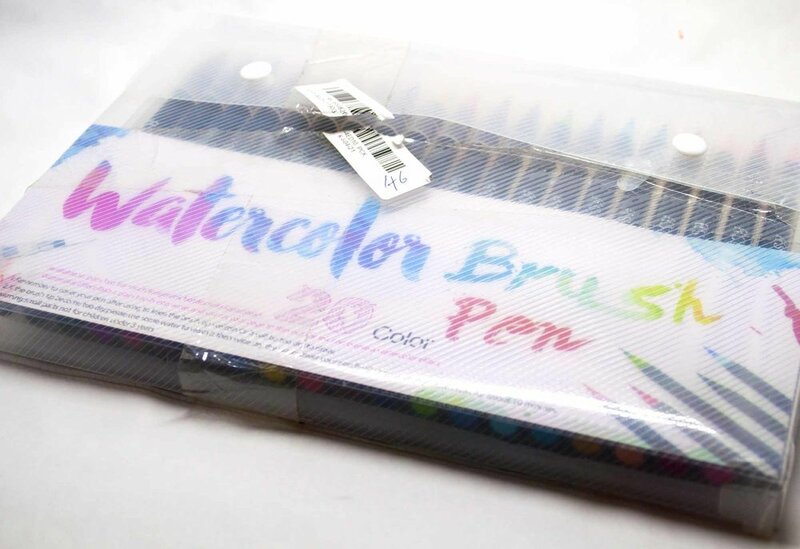 On the packaging, it is stated that refill ink is available for the Watercolor Brush Pens, however, thus far I have been unable to locate the refills. If I am able to locate the refills I will return to the review and add links. The pens have clear lids to protect the brush nib, the lids are a little bit tight to remove, however I am sure this will change with use over time. When you remove the lids they fit onto the end of the barrel, which I know is important to some artists. The end of the barrel is capped with a pigment indicator and the colors on them are remarkable close to the actual pigment color when used. The brush nibs on all the pens are really nice, they allow the artist to lay down a nice clean, consistent layer of pigment. I haven’t used the Watercolor Brush Pens extensively, however I have used them and so far I have not experienced any fraying of the brush or other wear and tear issues. 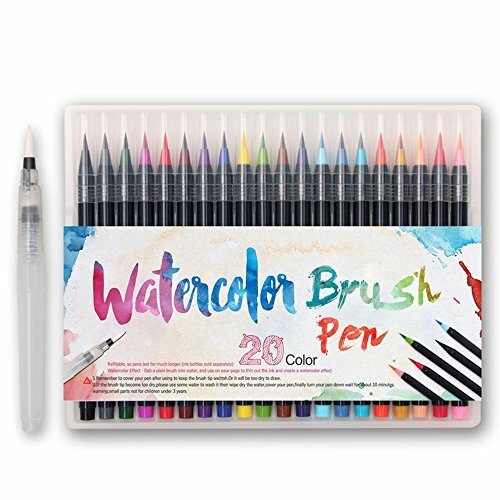 Also within the 20 set is an aqua brush, this allows you to fill the brush handle with water, allowing the artists a constant supply of water to the brush on the end of the pen. 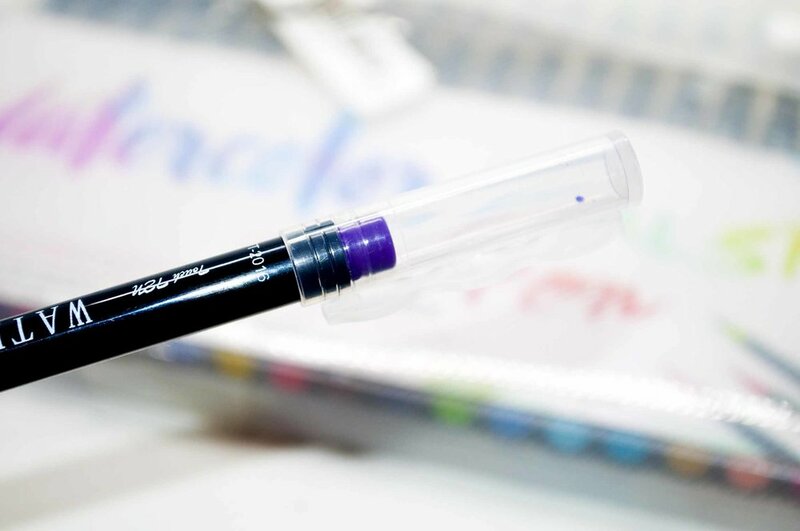 This is a nice addition to the set as not all sets of a similar product supply an aqua brush pen, this also means that when you open the set you are good to go and do not need to purchase additional supplies. The first thing to mention is the Watercolor Brush Pens are filled with water soluble ink, so it is always good to keep a few things in mind. If you as an artist are use to traditional watercolor paint’s, you know how they react, that you can lift pigment with some clean water and a paper towel, you will know that once the paint is dry, you can still lift pigment to a certain extent by adding clean water. With water soluble ink you have to work in the constraints of time. The ink when dry is permanent, you are unable to lift it, which lends itself really well to adding layers, working one on top of the other without disturbing the pigment too much. So if you are mixing the pigments on the paper, you must do so before the pigments dry. 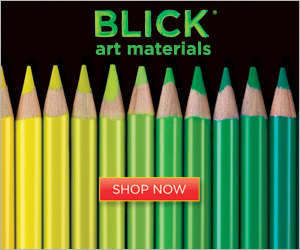 The Watercolor Brush Pens release a good quality water soluble ink which is bright and vibrant. When the pigment is activated with water, the ink can be pulled out quite far, creating an beautiful gradient as I have shown below. 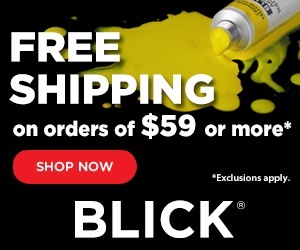 With lower quality pigments, this is unable to happen and with some as soon as water is introduced to the ink, the pigment almost completely disappears leaving a puddle of slightly colored water, this is absolutely not the case here. Mixing of the watercolor brush pens is seamless and really effortless, in the image below, you can see were I created a bright green using the Blue and Yellow brush pens. Below that you can also see were I mixed the red and yellow to create a vivid Orange, but extended the pigment using the lighter color creating a beautiful gradient. 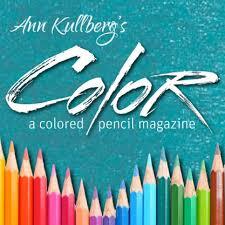 Unfortunately the only set available in this particular line of Watercolor Brush Pens is the 20 set, but as I explained and demonstrated in the video review, although 20 is the only set available, due to the pens being water soluble ink, many more colors can be easily mixed and created, obviously extending the color range. The company that sell this particular line Bang Good, ship all over the world, when you click on the link to the product, select the country where you live and the price of the product will change accordingly. 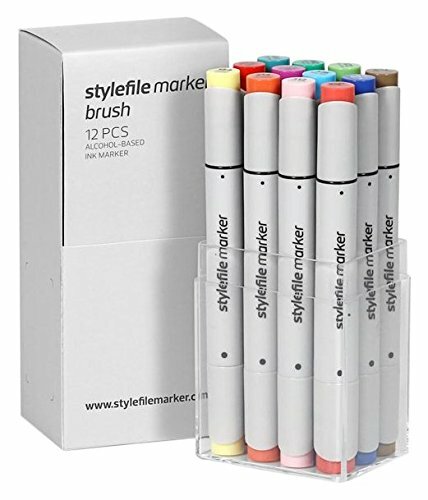 Here in the UK, for the 20 set it will cost £13.31, for artists in the US it will cost $16.99, in Europe this 20 set of watercolor brush pens will cost €14.86, for Australian artists this set will cost $24.39. For other areas of the world, simply follow the instructions on the Bang Good website and you will find the price, I am sorry I couldn’t include every country in this list. With the exception of the packaging, which I have already spoke about and don’t want to drag it out, the quality of the ink used in this particular set of Watercolor Brush Pens is excellent. Obviously if you view this review and my previous review of a similar product from a different company, you can better decide which set would suit your needs best. It is a little frustrating knowing that according to the package, there are refill bottles of ink for the pens, however I have not been able to locate them, however, I wonder if they mean that you can refill them with any water soluble ink. I really enjoyed testing and reviewing this set of brush pens, I will be adding some art work in the form of a speed drawing soon, unfortunately I have only recently found out my Dad has Bowel Cancer and as a family we are finding it difficult to come to terms with this new challenge we have to overcome. Thank you so much for reading this review and please check out my YouTube video review to see the pens fully demonstrated. If you have any questions regarding the product please by all means ask me and I will do my very best to help answer.